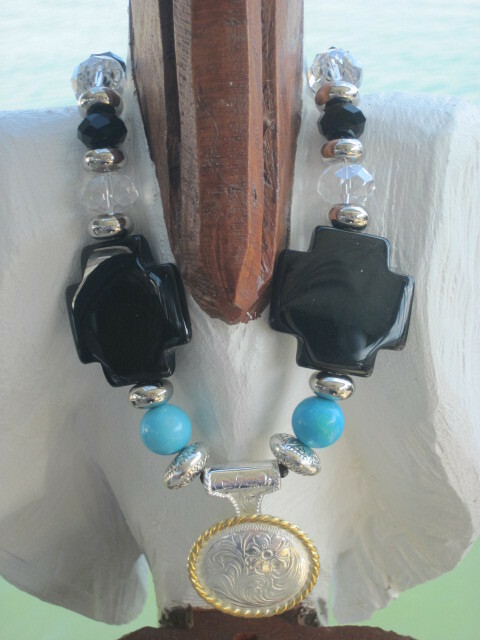 This necklace is made up of faceted clear and black crystals, silver color spacers and 2 large cross glass beads and just enough splash of turquoise beads to make this necklace pop. 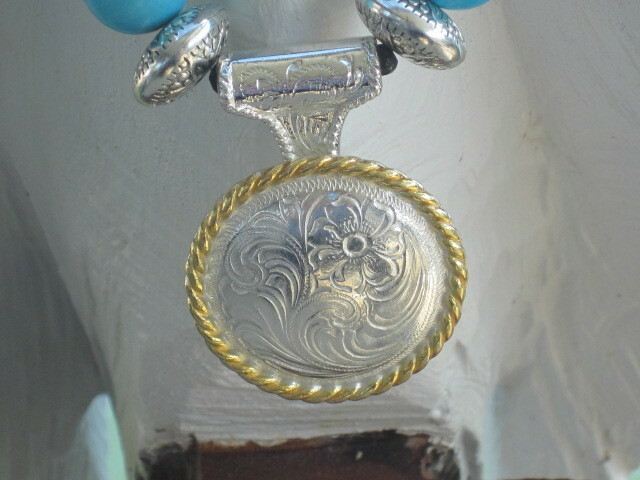 It has a Concho pendant with gold tone roping around it. These are the "real deal" Conchos and not the light weight Conchos that you sometime see. The necklace measures approx. 20” and is secured with a shiny base metal toggle.